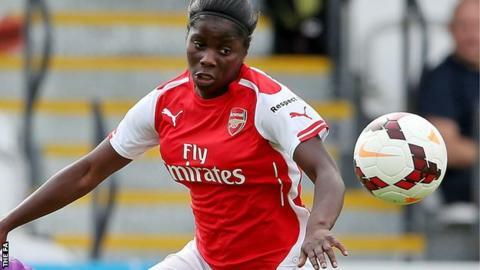 Birmingham City Ladies have signed England Under-23 international striker Freda Ayisi from Women's Super League rivals Arsenal Ladies. The 20-year-old graduated through Arsenal's youth system and made her debut for the senior side in 2013. "We're delighted to bring Freda to the football club," Blues manager David Parker told the club website. "She brings quality to Birmingham, being a young and hungry English player with an enormous amount of potential."